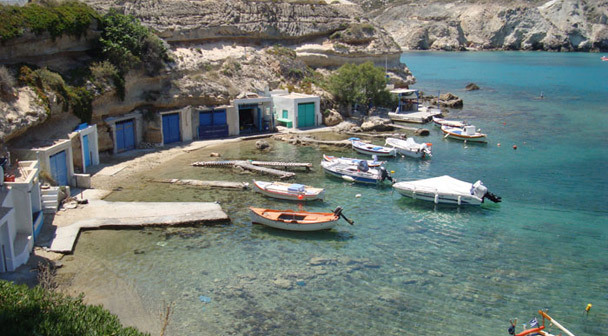 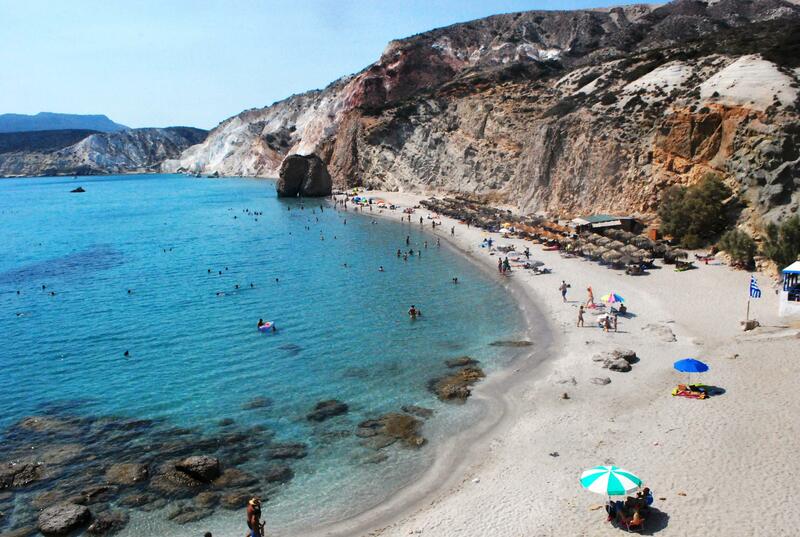 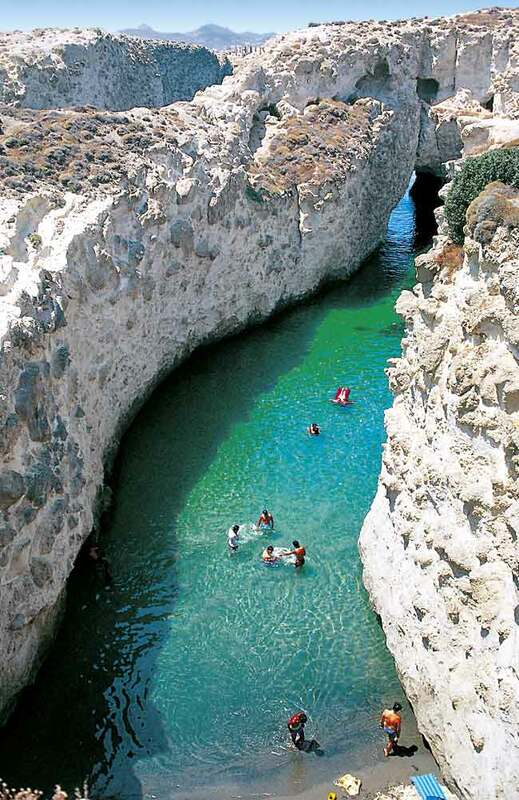 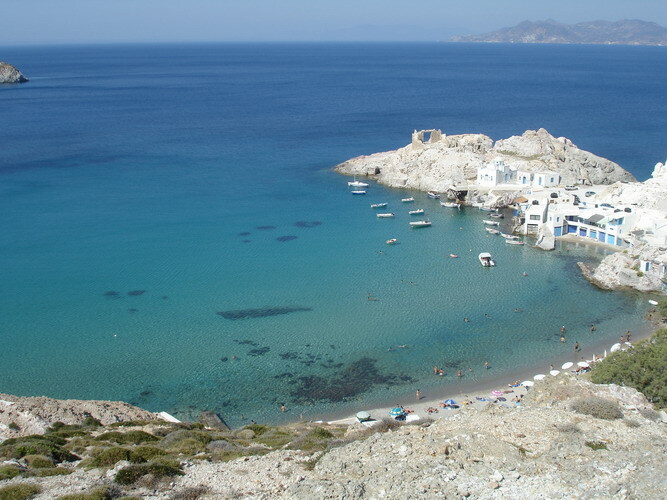 Adamas Milos, a seaside village with approximately one thousand inhabitants, is a tourist centre and port. 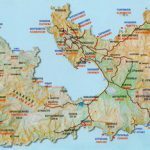 Between 1844 and 1914 Milos Adamas was a municipality, which in 1885 even had its own member of Parliament. 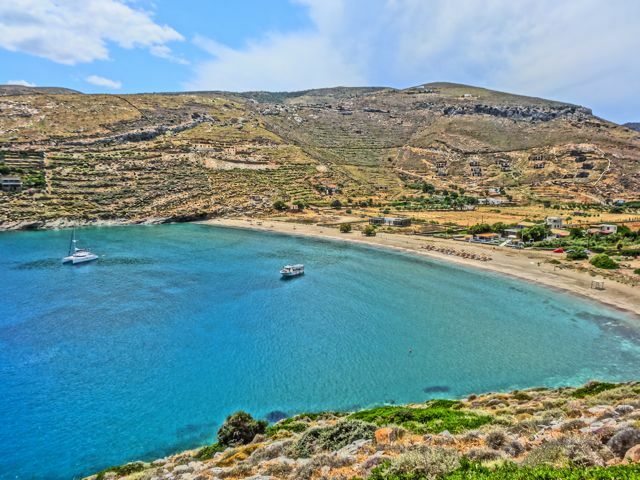 This privilege was granted by the government in honour of the first settlers, who were refugees from Sfakia in southern Crete. 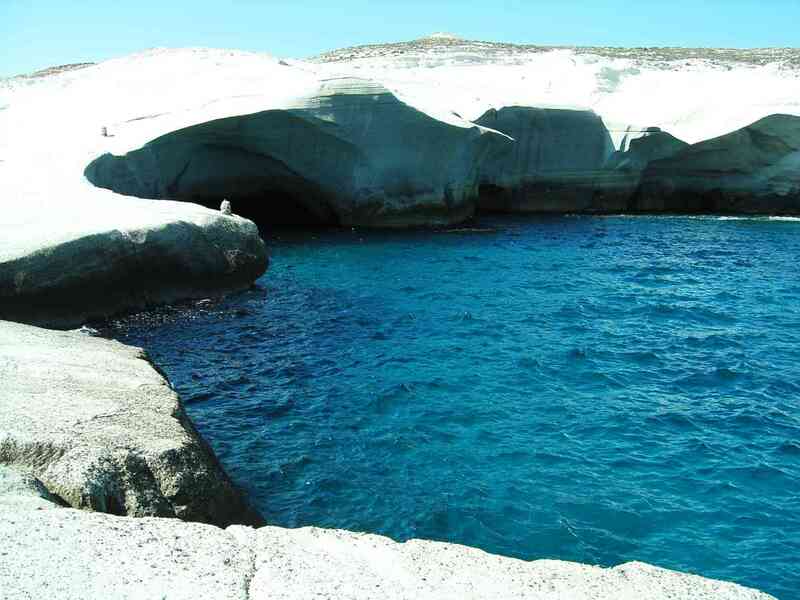 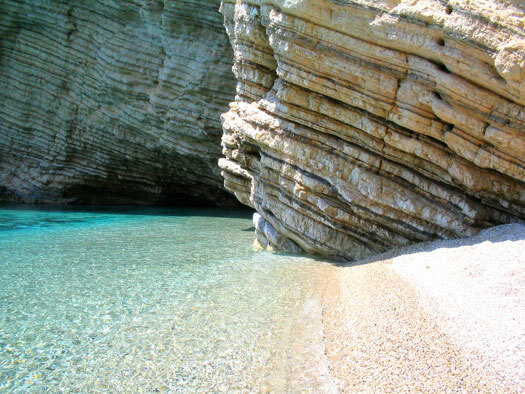 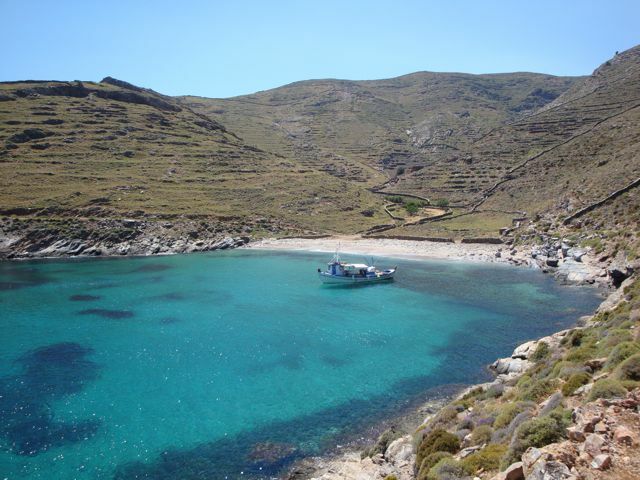 Adamas and the rest of the Milos Greece, offers us the utmost in comfort and pleasure for our holiday. 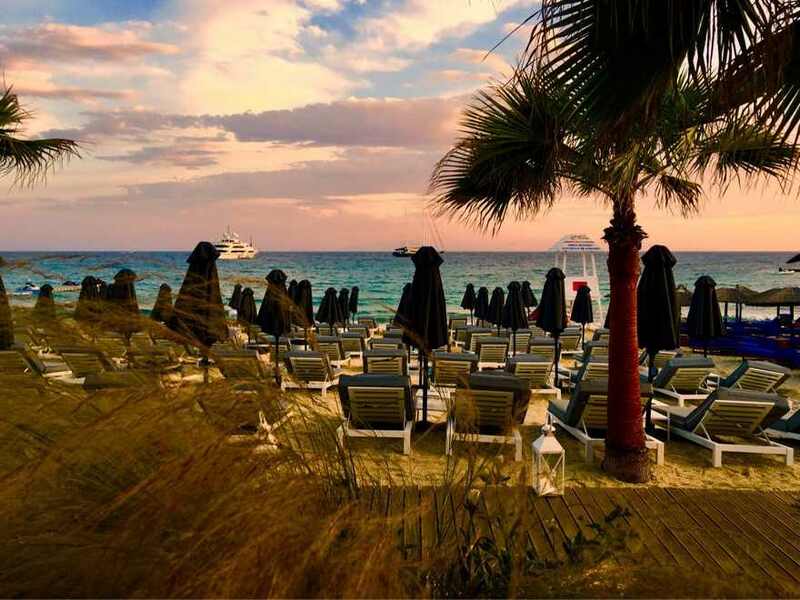 Peace and quiet is combined with entertainment and an enticing night life. 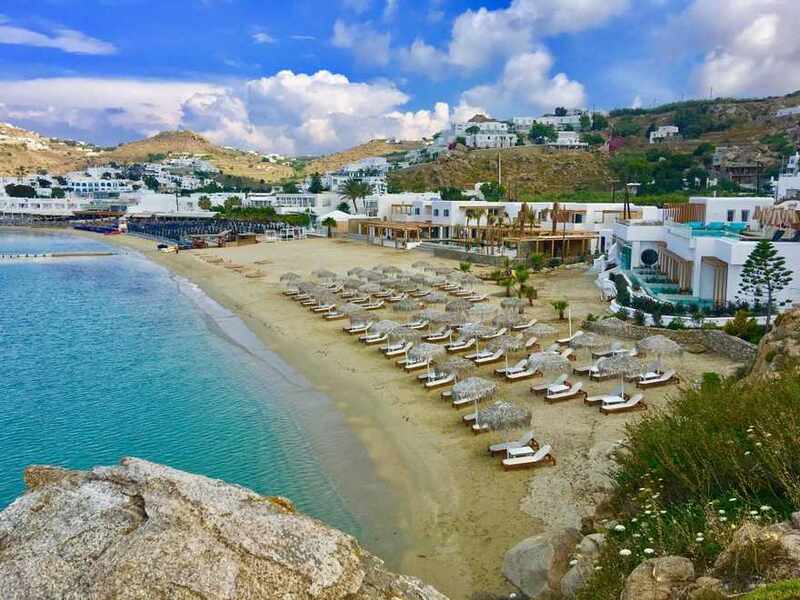 Banks, a post-office, port police, customs office, doctors, dentists, a chemist shop, Greek and international tourist agencies, are just a few of the facilities available to the visitor. 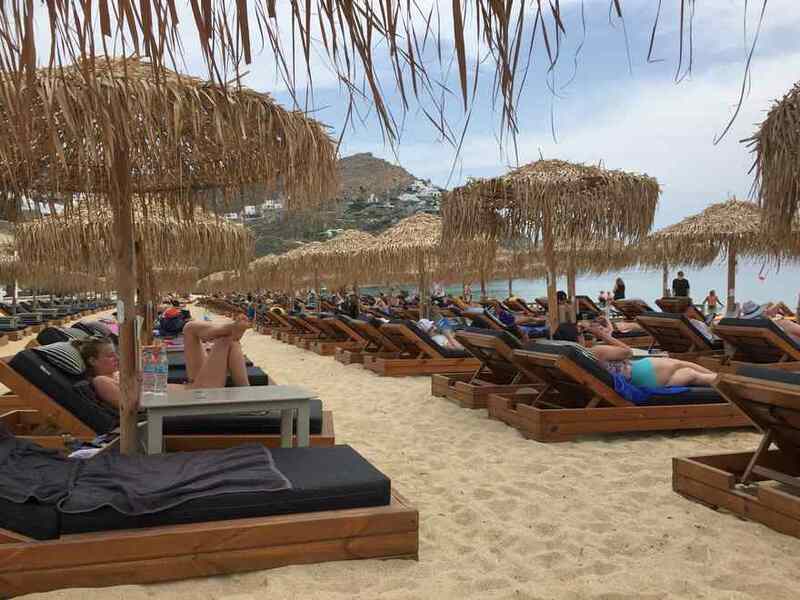 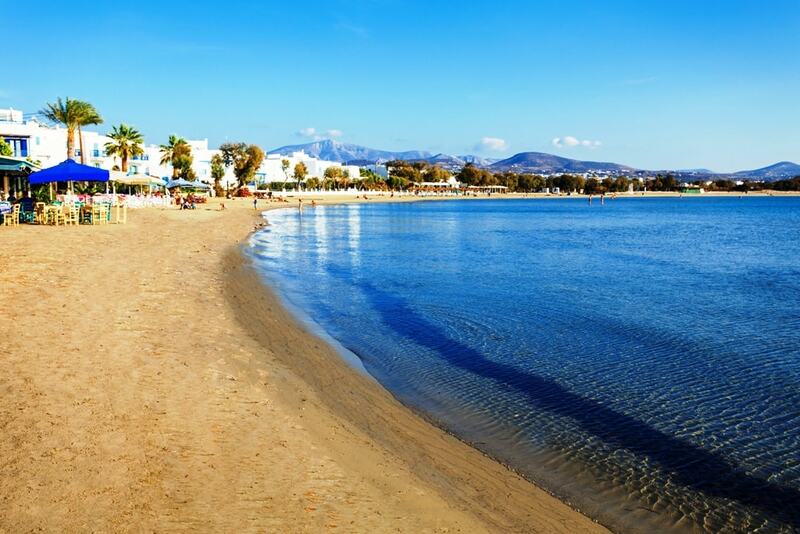 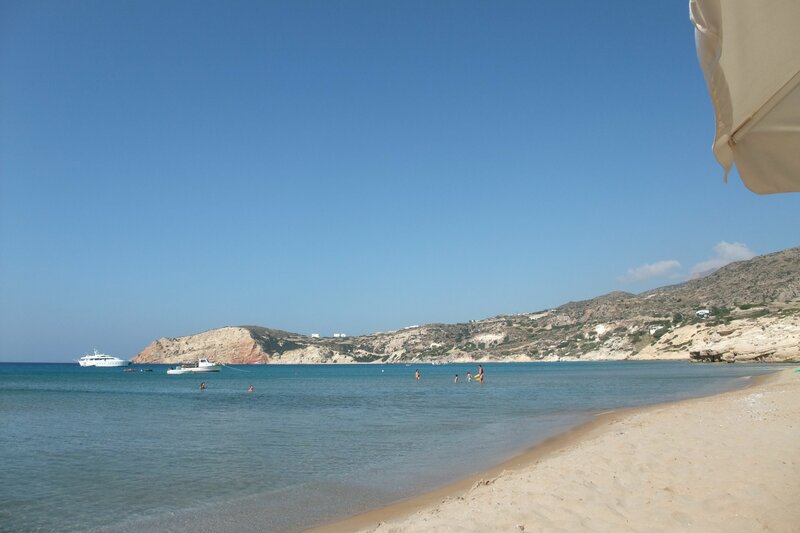 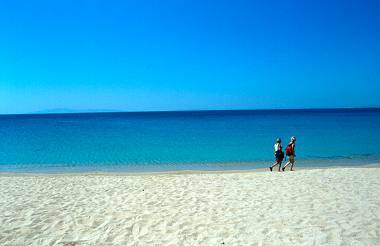 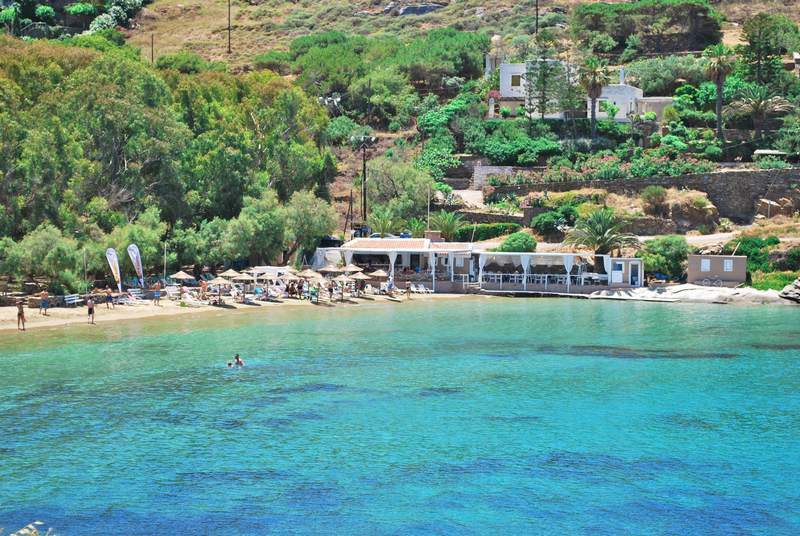 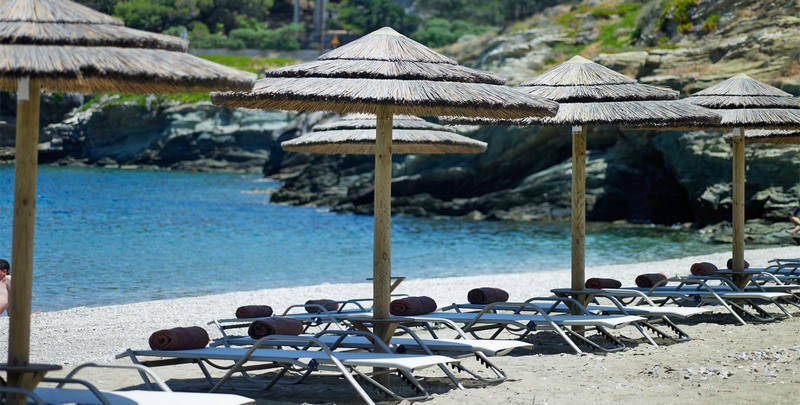 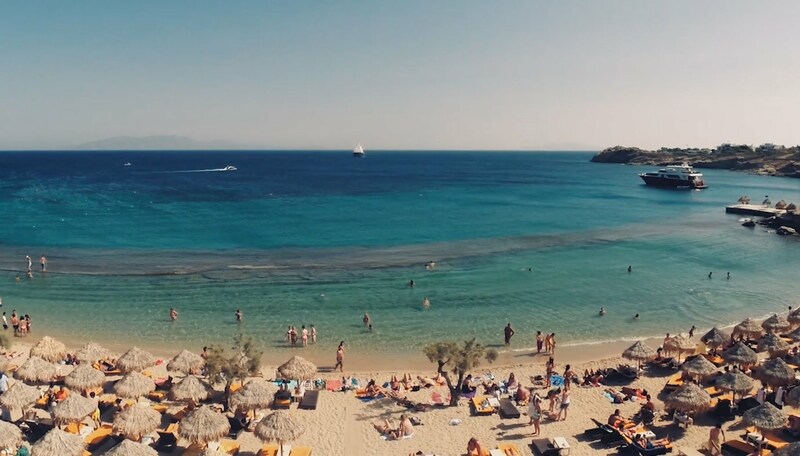 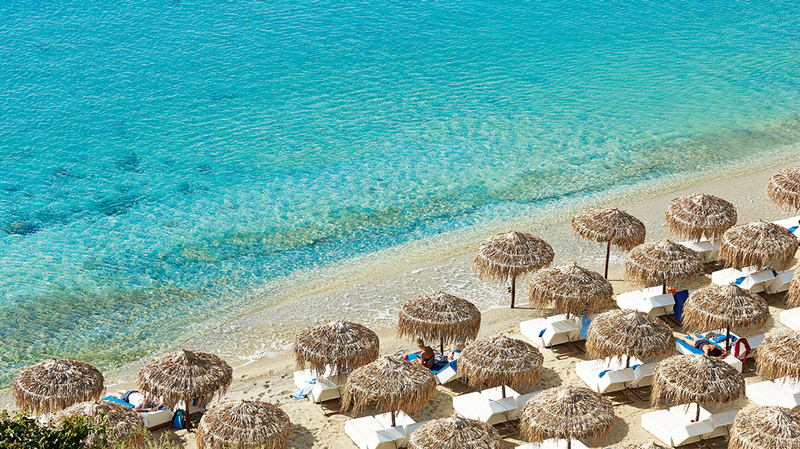 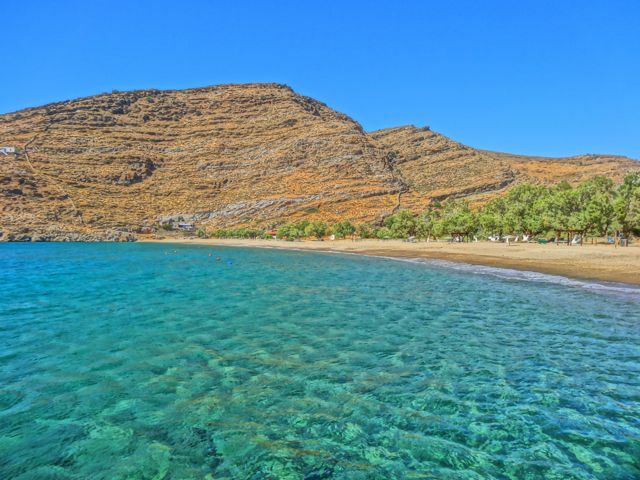 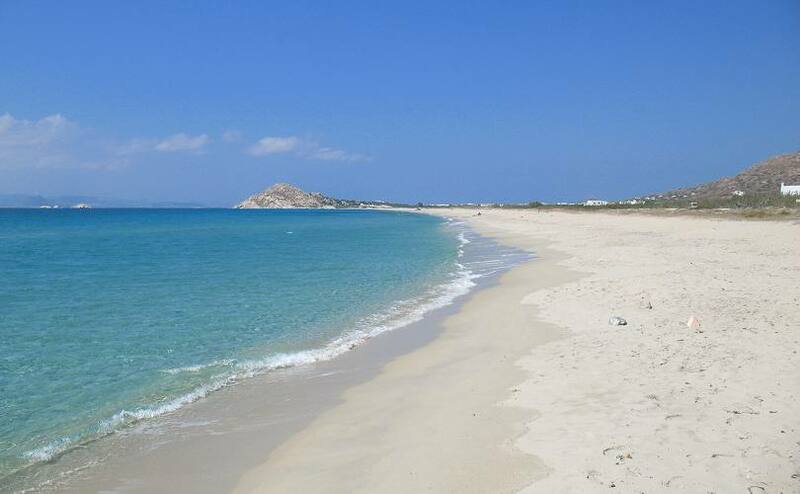 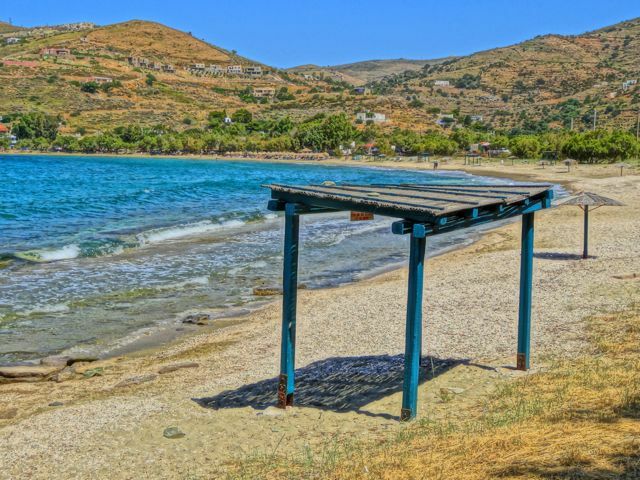 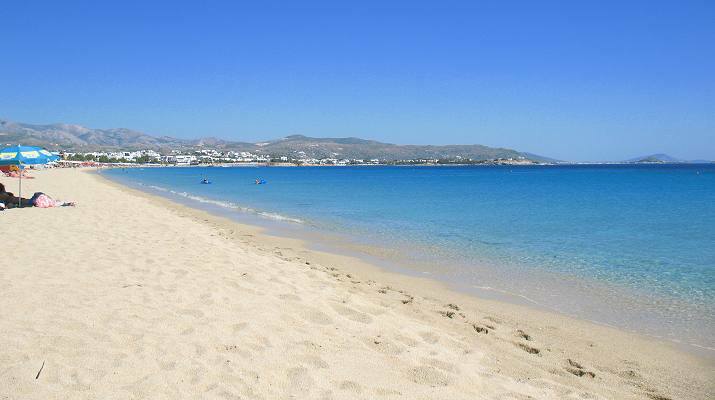 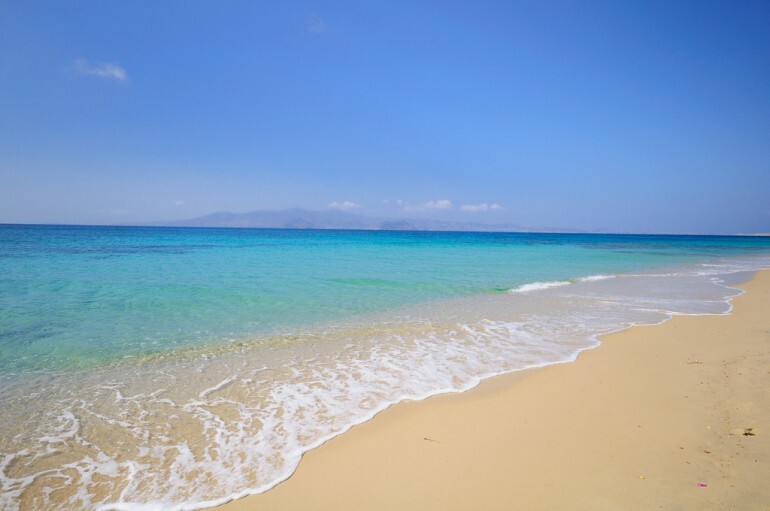 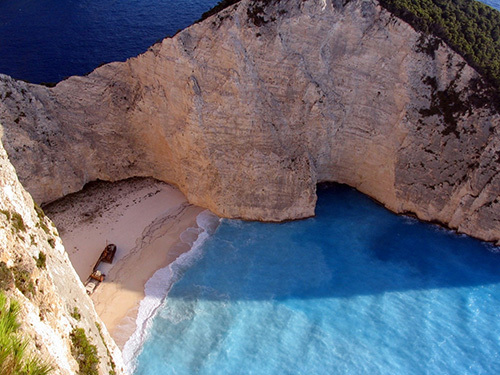 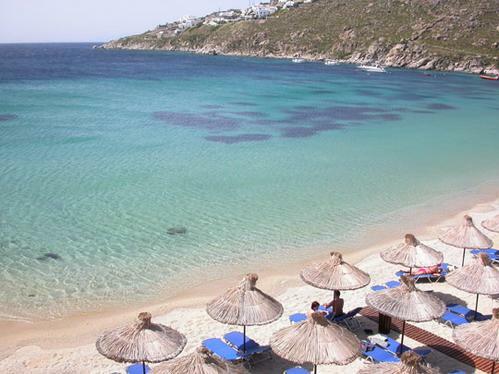 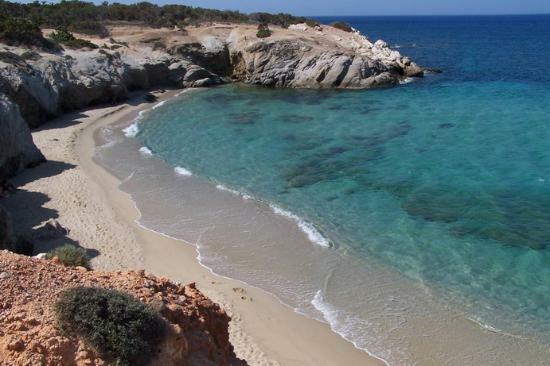 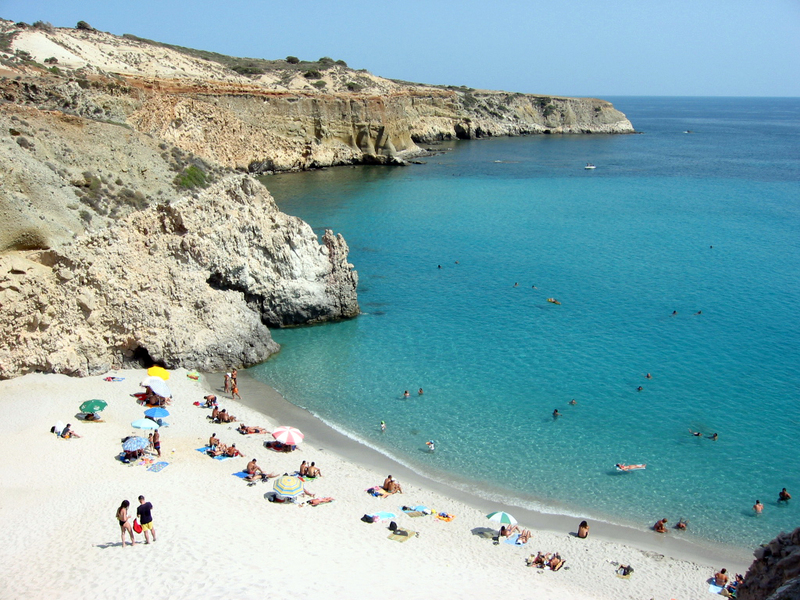 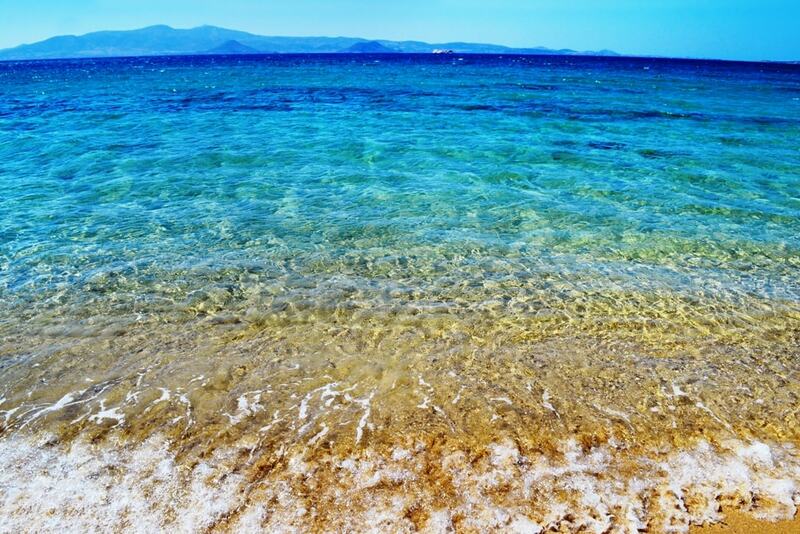 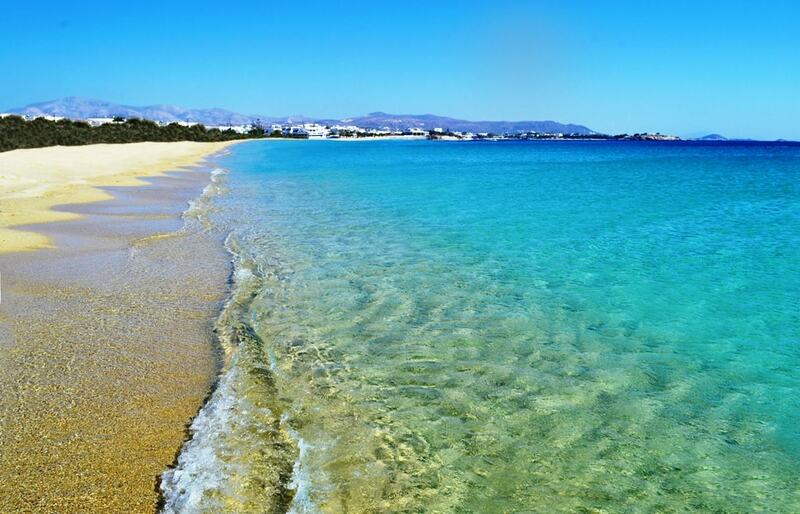 Without having to leave Adamas, we can sunbathe on one of its two beaches. 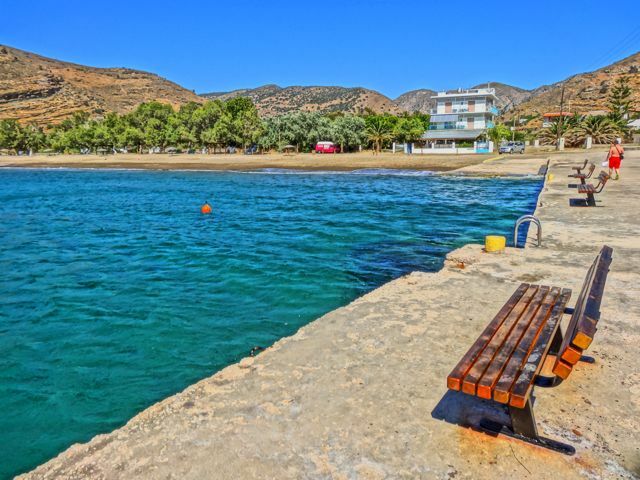 As we look towards the sea from the village centre, the first, Lagada, is only 500 metres to the right while the other, Papikinos, is 1000 metres to the left, just beyond the area called Neochori. 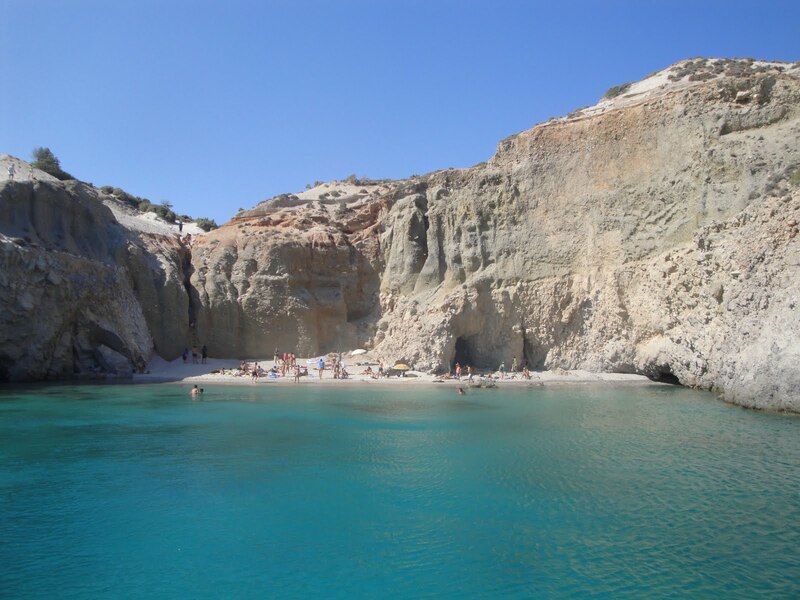 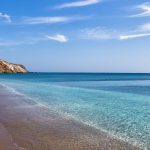 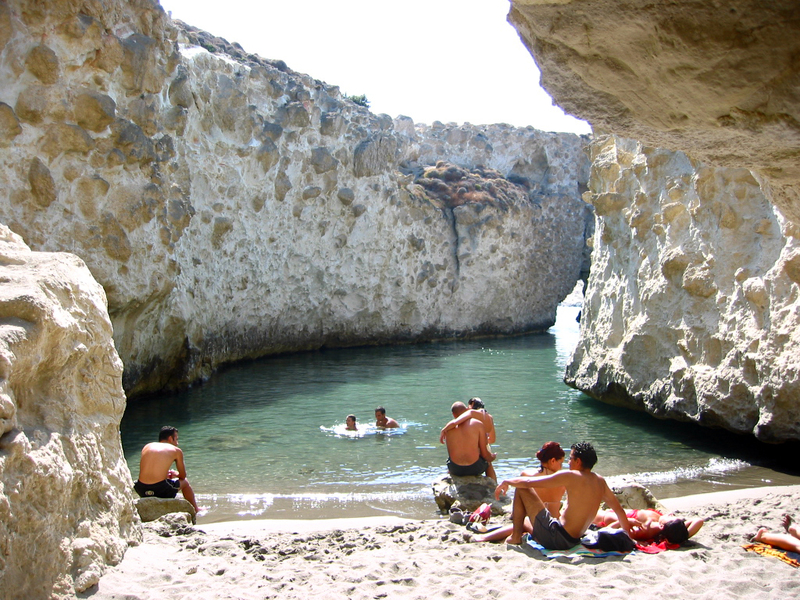 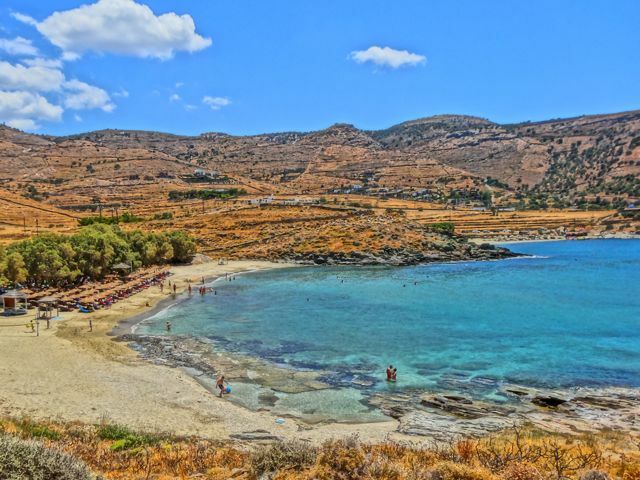 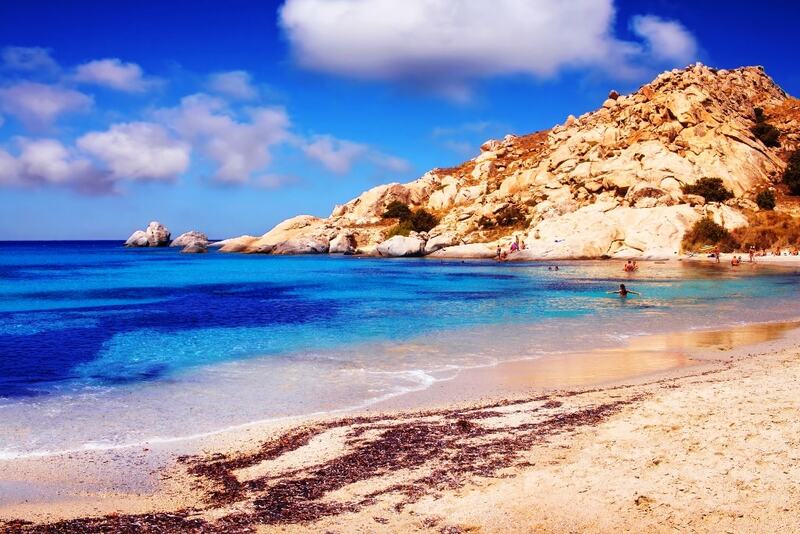 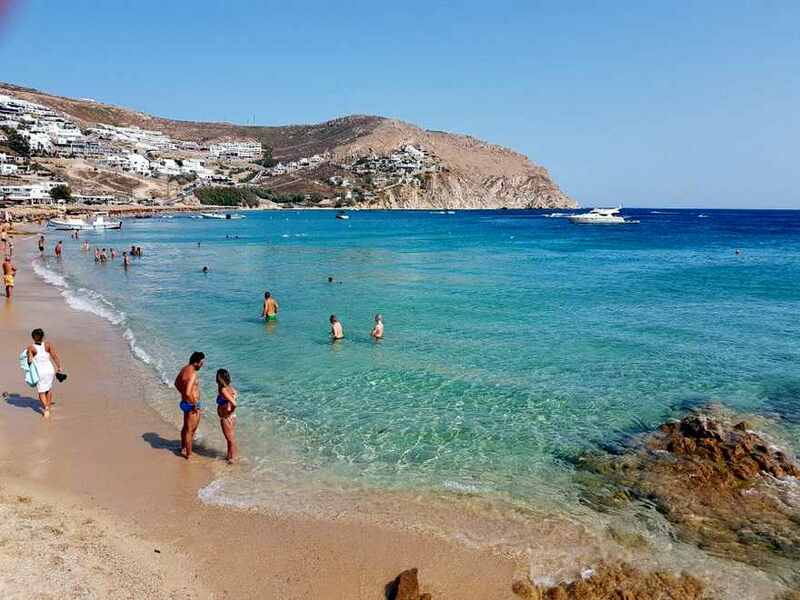 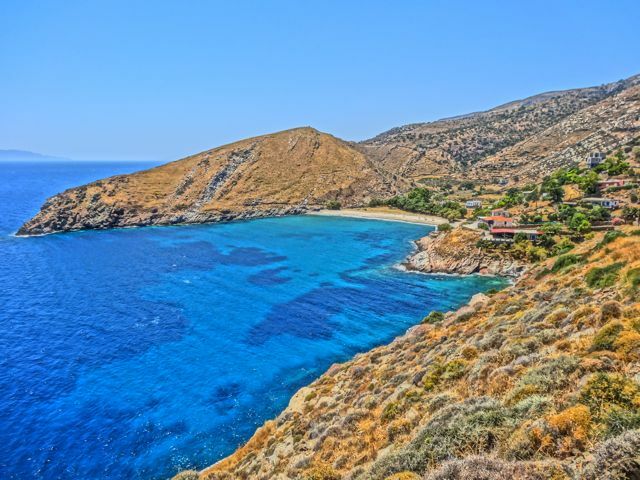 Both beaches are shaded by tamarisk trees and are wide enough to enjoy a game of tennis (Check out list of Milos beaches). 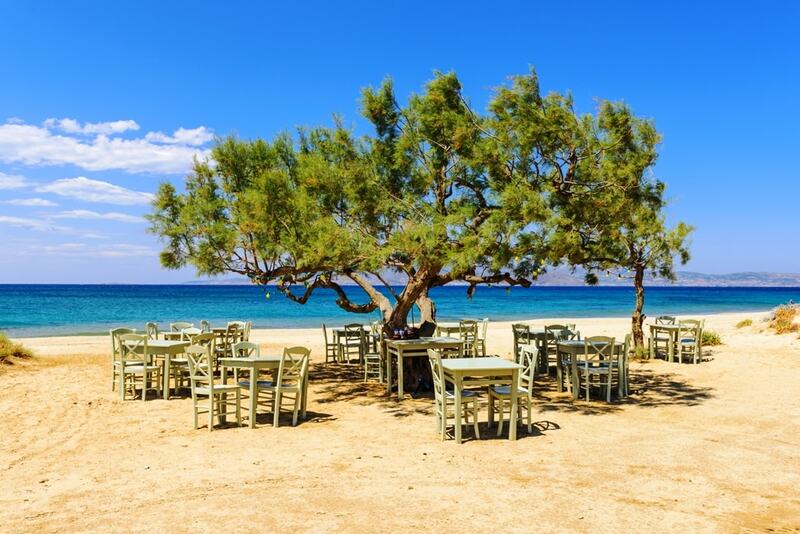 In Adamas there are a number of restaurants, ouzeries, pizzerias, snack bars and grills, all offering good service to summer visitors. 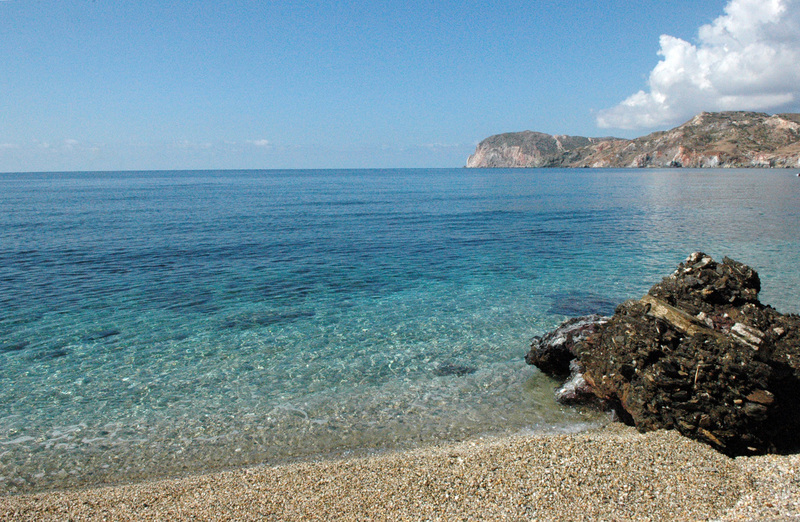 Fish, lobster and octopus come direct from the morning catch. 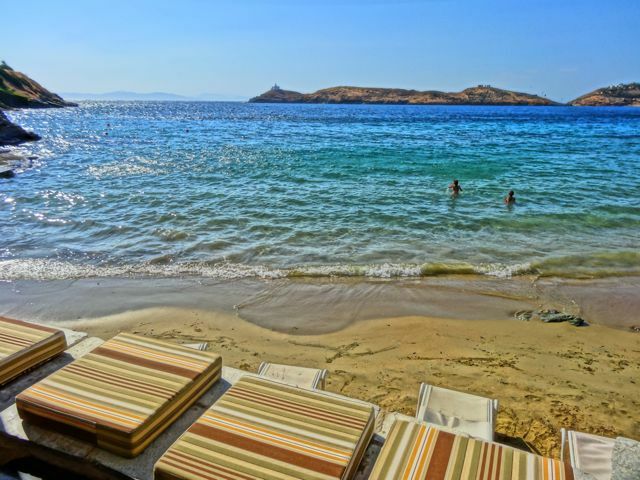 After the evening meal, it is always relaxing to have a cake, an ice-cream or a cool drink at a waterside cafe while night falls, luring us to partake of its pleasures. 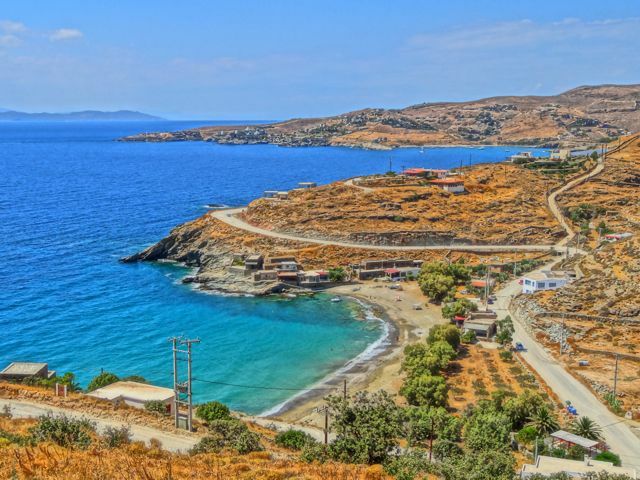 You should also visit the Mining Museum, Agia Triada with its Ecclesiastical Museum and Kimisi Theotokou (the Assumption of the Virgin) or Agios Charalambos and nearby the small Catholic church of Saint Nicholas. 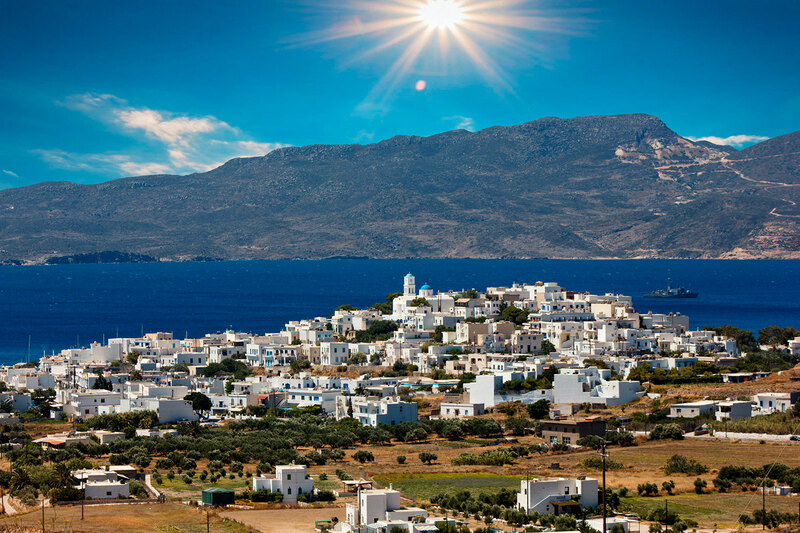 The largest church in the village and standing at the highest point, is Kimisi Theotokou or Agios Haralambos. 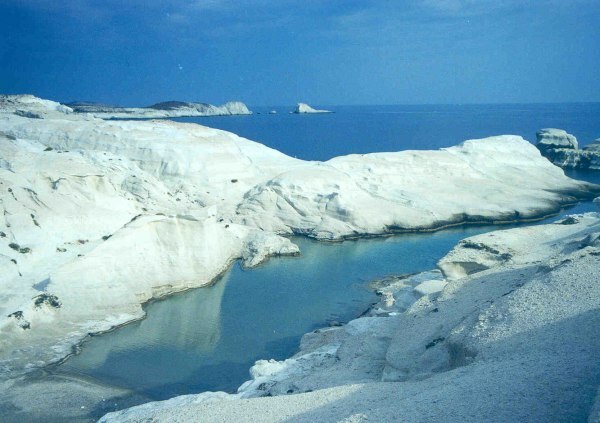 It has distinctive architecture with three aisles roofed with arches and a dome resting over the central aisle. 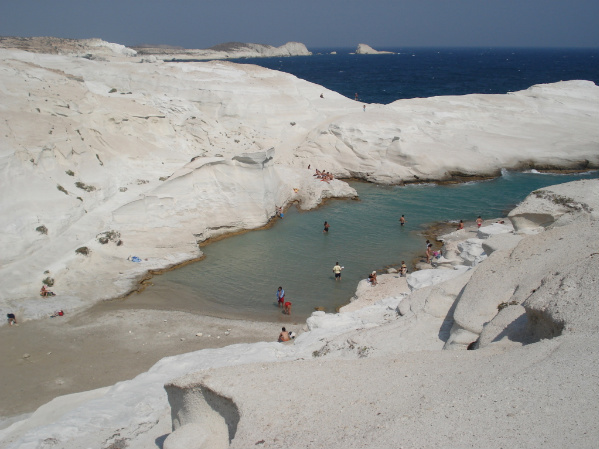 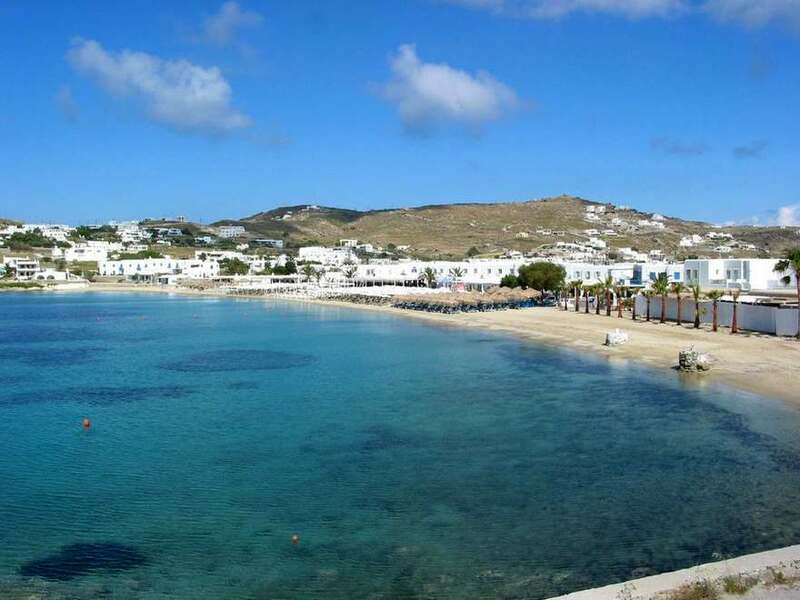 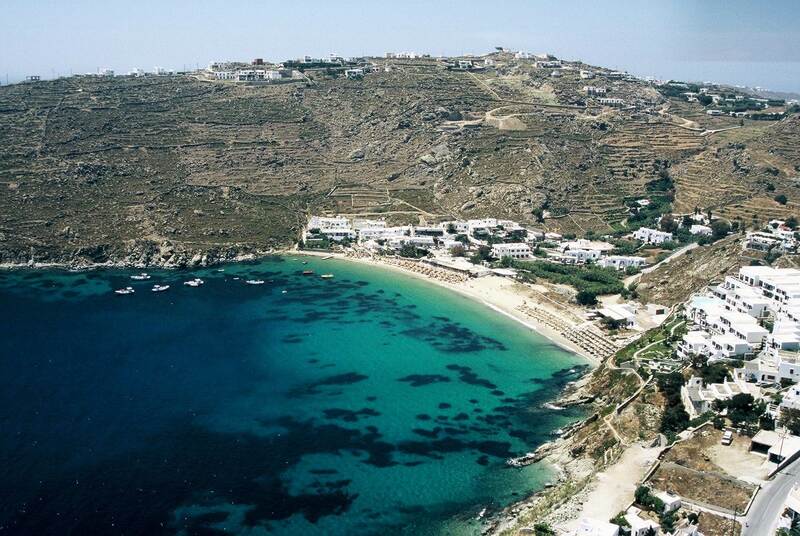 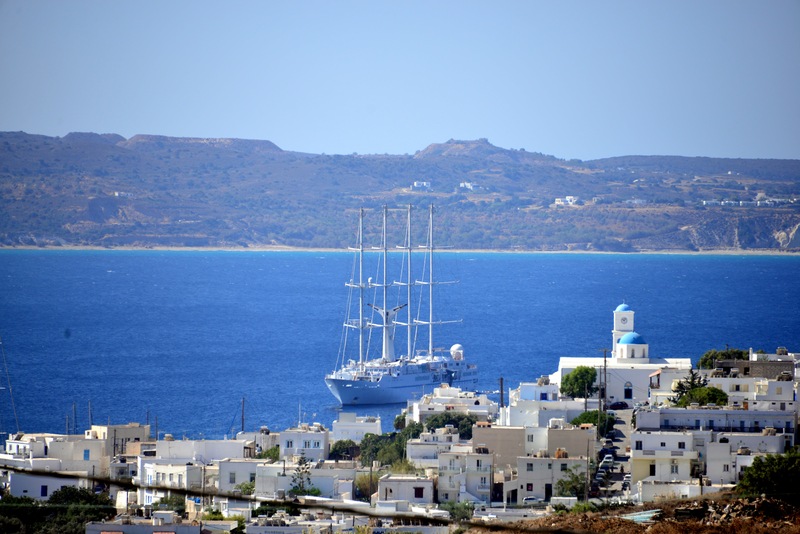 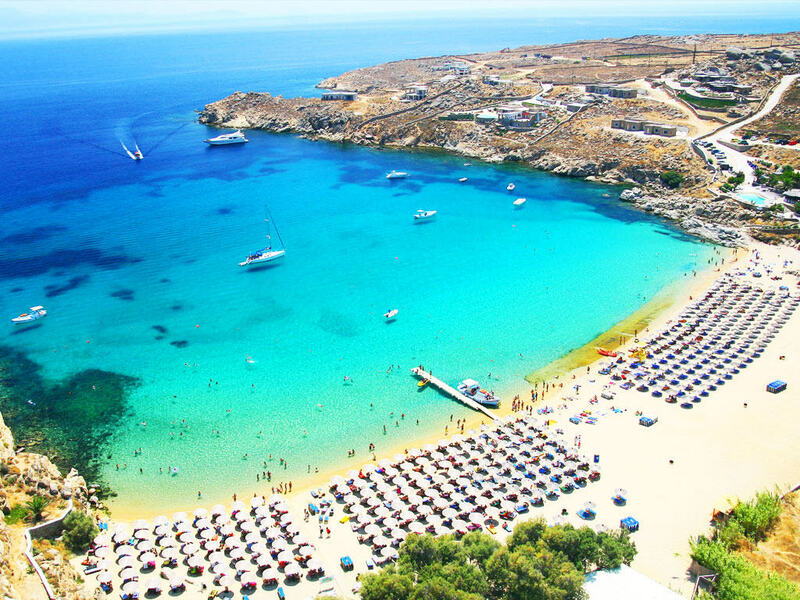 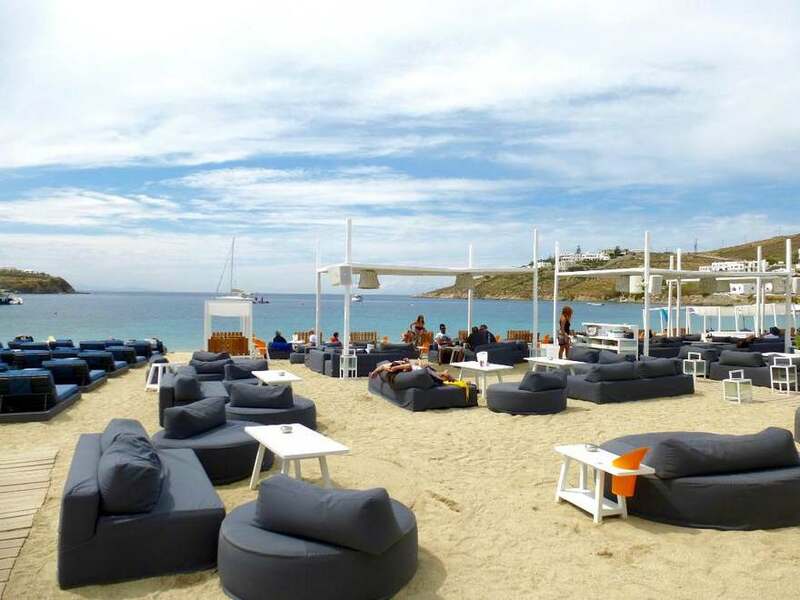 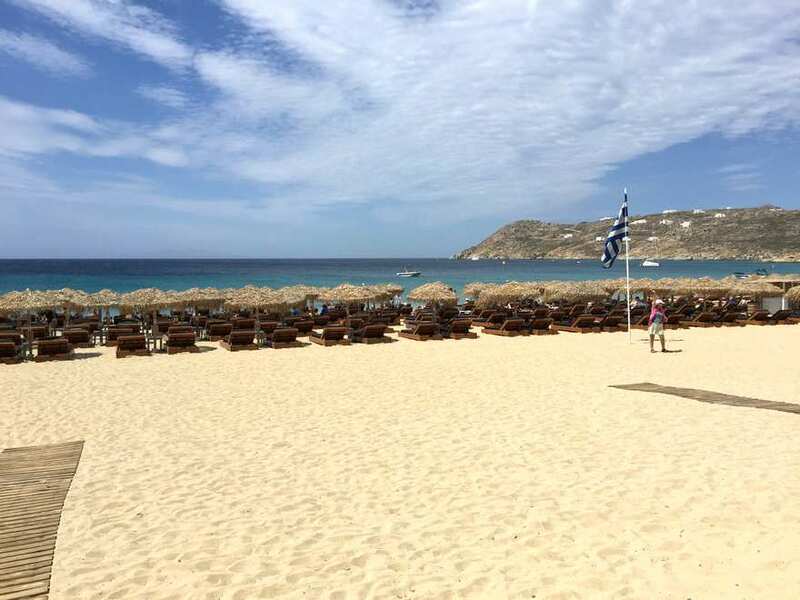 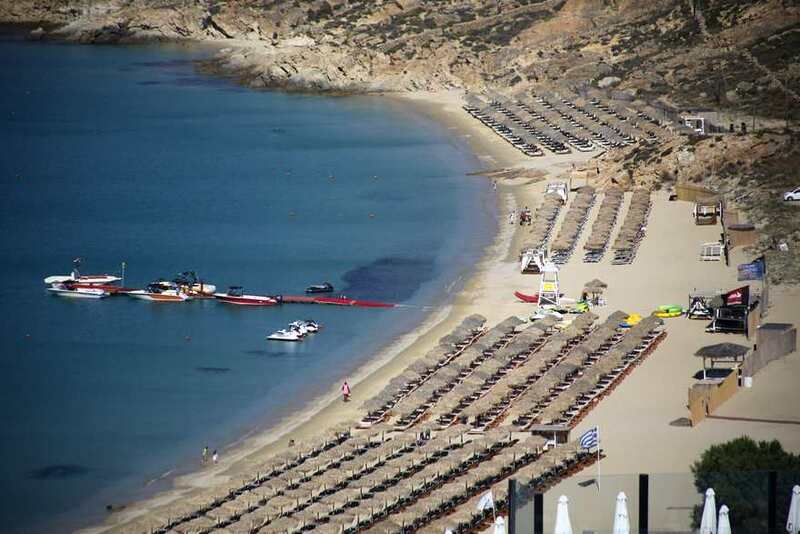 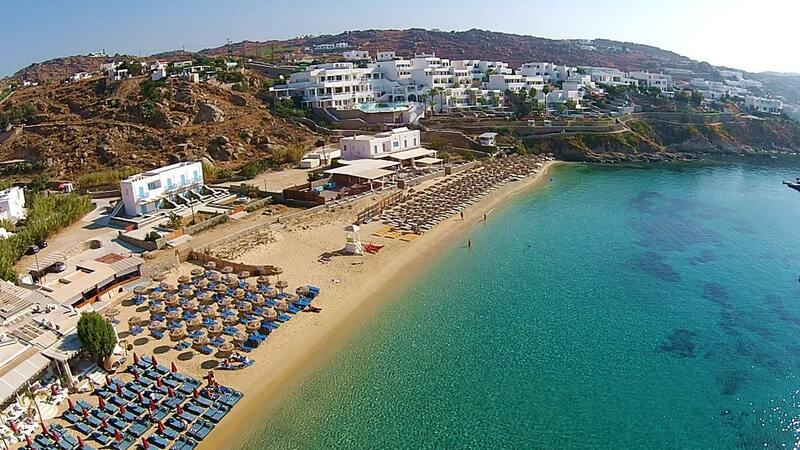 Hotels are filling whole Milos. 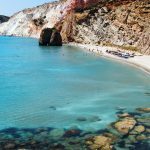 Most of the hotel in Adamas Milos are built according to the traditional architecture of the island which is protected by the locals. 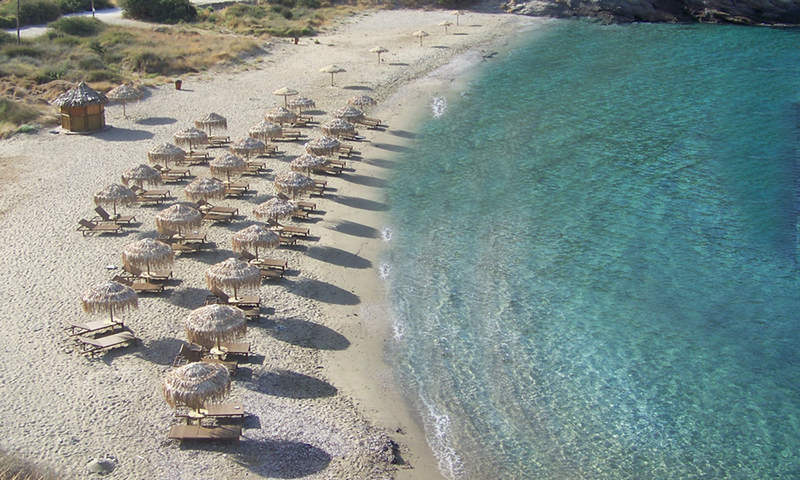 Check out full list of Adamas hotels, with reviews, photos, and prices Book Hotel.